Is it time to give your kitchen a fresh new look? Simply upgrading your appliances can really make a difference in how your kitchen looks. It can also make food prep so much easier and give you more time with your family. You can stretch your remodeling dollars with some incredible deals on GE Appliances during the Appliances Savings and Remodeling Event at Best Buy! During this sales event you can get up to 35% off major appliances from top brands including GE. 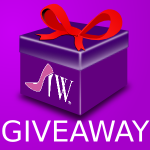 You can also score a free $100 gift card when you purchase TWO major appliances totaling $1500 or more (See details for offer). 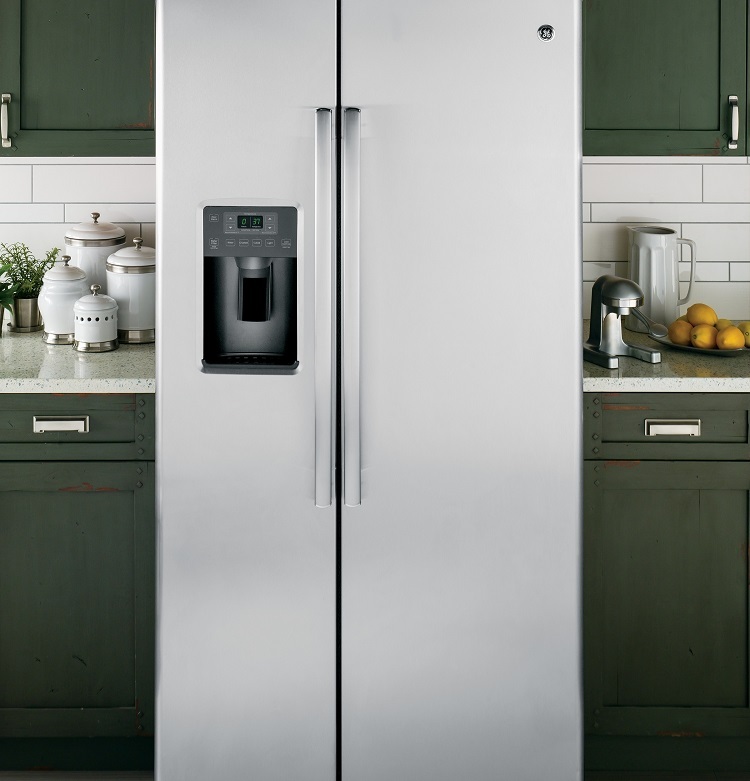 Check out two of GE’s amazing appliances that are on sale right now at Appliances Savings and Remolding Event at Best Buy now until April 26th. The GE Refrigerator is American made with a beautiful stainless steel finish. You can organize your fresh and frozen foods in this side-by-side refrigerator that features slide-out and spill-proof glass shelves. Adjustable clear door bins allow you to customize your storage options. Are you thinking about installing a wall oven? Well you are in luck! 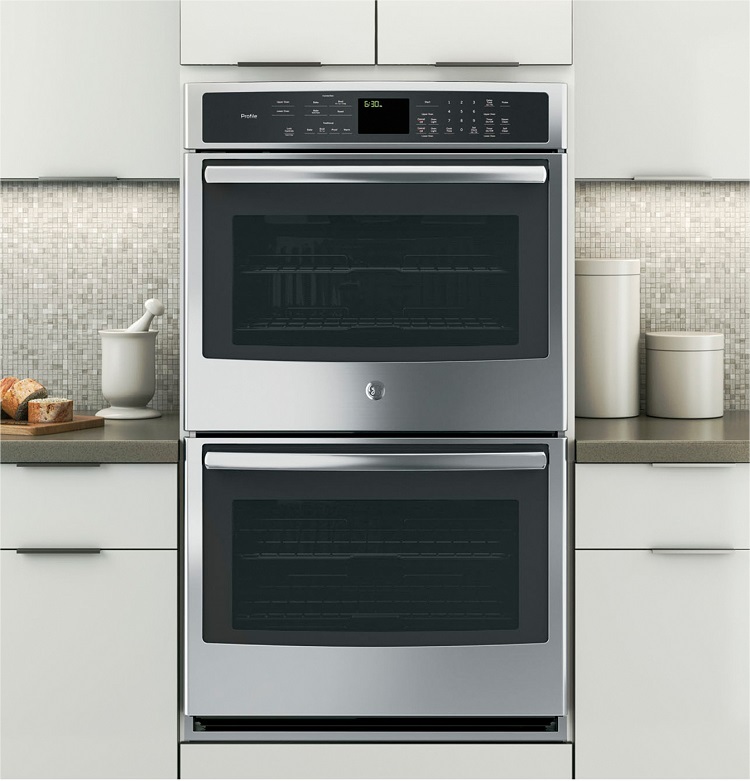 The GE PROFILE™ SERIES 30″ BUILT-IN SINGLE CONVECTION WALL OVEN features True European Convection with Direct Air, baking evenly as warm air blows from the top of the oven and around your bake-ware. It also has a huge 5 cubic foot capacity so you can cook all of those favorite dishes at Thanksgiving time and a big bird too! Another big bonus is that it is Made in America! GE is also offering free installation on all GE appliance wall ovens 4/5/17 – 4/29/17 (See details for offer) . 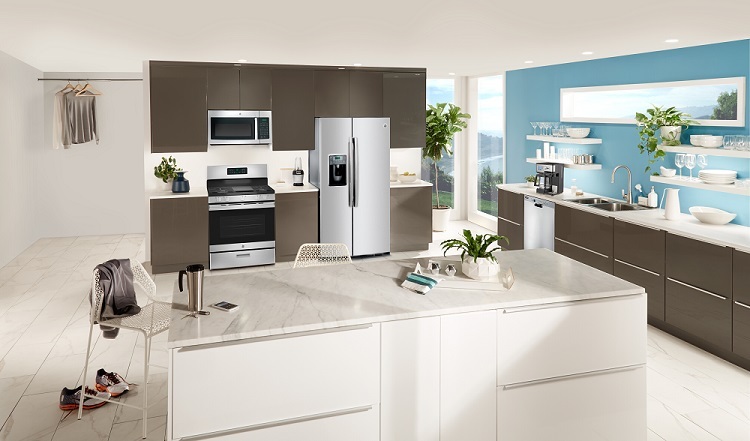 If you are looking for top brands to upgrade your kitchen and to SAVE BIG, Best Buy makes it easy for you to stretch your remodeling dollars by offering the best deals during the season on GE appliances now through April 26th. RETWEET and SHARE these incredible deals! It is amazing how new appliances change the look of the kitchen. 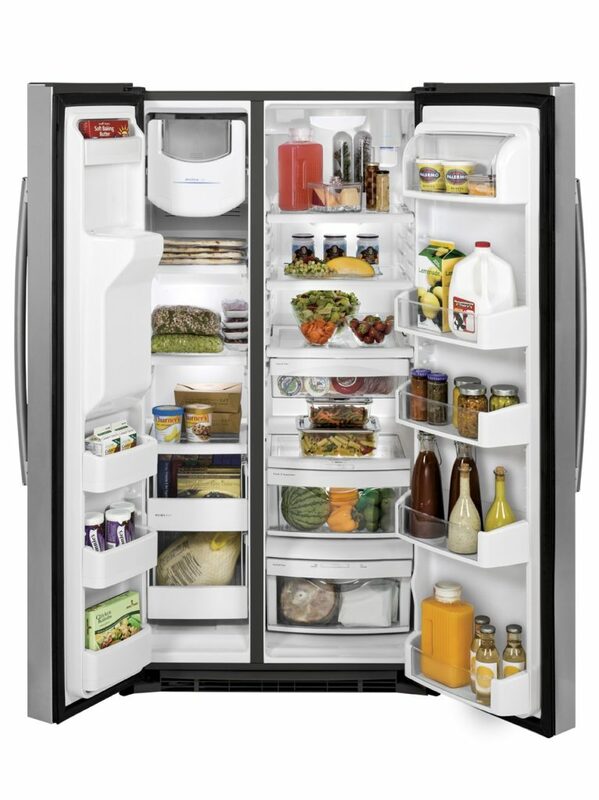 On one of our trips our refrigerator dies and we purchased a new GE – it not only looks great but the things it can do! It is my favorite appliance and it was almost work having to clean out the old one. I’m not in the market for kitchen remodeling, but will save this for when I am. I love that Fridge! I’ve got such high hopes for my kitchen, but my plans are bigger than my wallet. Love that I can still incorporate amazing appliances without forfeiting the rest of my wishlist. Its true adding and upgrading new appliances to the kitchen area will make it look graceful. This will drag more interest in cooking and makes looking easier. I’m in love with that refrigerator. An upgrade is on our list. It looks like this one has plenty of space and I love that the drawers are clear. Thanks for the share. We have all GE appliances. They are so great and reliable. Making some changes and upgrades to our kitchen is definitely a priority. It’s nice to see that they’re offering good deals on new appliances. I so wish I lived in a house so I can go to Best Buy and buy these appliances. My money definitely stretches when I buy at Best Buy. That’s my fridge! No lie – I have an older model, but that is most definitely my fridge. We got our GE fridge 10 years ago, and it is still going strong. What a beautiful designa and amazing appliances. I do love Bets Buy I have bought a lot of tech and gadgets there must check appliances too. I need this kitchen! Seriously. I love these deals… perhaps it’s time I go appliance shopping! I definitely want to get a fridge that looks like that when we finally settle down into a home. Currently, our fridge is so small and doesn’t hold everything I need it to! Oh this makes me want a kitchen remodel! I’d love to have all new appliances. I am glad I read this. I am working through a plan to remodel my kitchen. Thank you for much for this! I really need to update our kitchen appliances! I’m checking out Best Buy! Thanks!